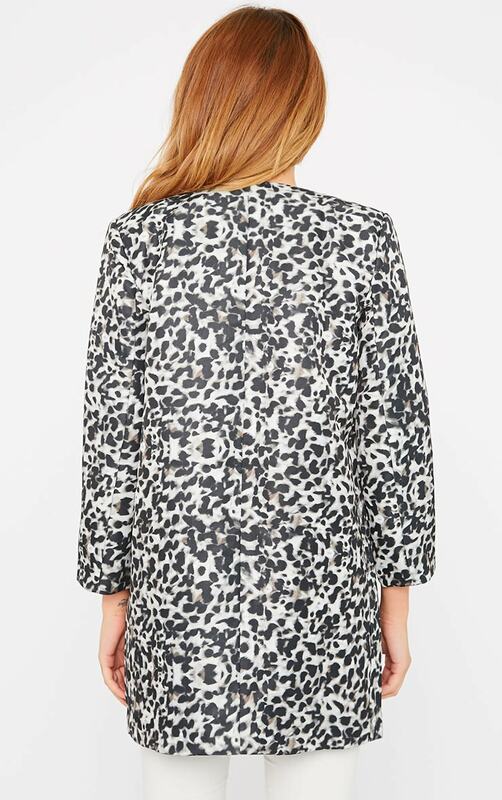 Work structured silhouettes and straight lines this season and rock this striking animal print. Coats are coming back for the cool climates and this one is a must-have. Featuring cropped sleeves and a flattering fit, this is so SS15.